Tarlton Law Library received the William Wayne Justice Papers as a gift from Judge Justice's family in spring 2010. The collection became a portion of the permanent archives housed by the library in April of the same year. Tarlton Law Library actively collects archival material relevant to the history of the Law School, including the papers of former deans, faculty, and distinguished alumni. Processing of the William Wayne Justice Papers was completed November 2010 and the collection is fully indexed and available to researchers. This website provides an introduction to the larger collection and provides digital versions of material from five of William Wayne Justice's most important cases. 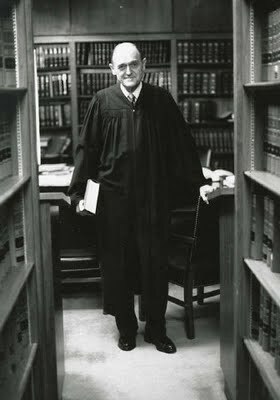 The collection includes material from Judge Justice's early years through his long judicial career. The over 90 linear feet of material document a distinguished career of service and integrity. Judge Justice died in October 2009 at the age of 89.